Start your day at Mercado de la Esperanza – the municipal food market directly behind the Town Hall. The fish market opens in the mornings from 8am to 2pm – this is where chefs and a large section of the public buy fish and seafood. You’ll be amazed at the colour, character and variety on offer. Go upstairs to enjoy the architecture and the wonderful cheeses, hams and more – this section also opens in the afternoons. Visit the gothic Cathedral of Santander and the crypt below from the 13th century. Popular with Camino de Santiago pilgrims seeking passport stamps plus fans of the writer Marcelino Menendez Pelayo who’s buried here. Check for leaflets on choir performances and concerts by students of the city’s music conservatory. Walk along the waterside known as the Paseo Maritimo– don’t miss the old and much-loved crane and the Palacete del Embarcadero – which is a wonderful museum space. 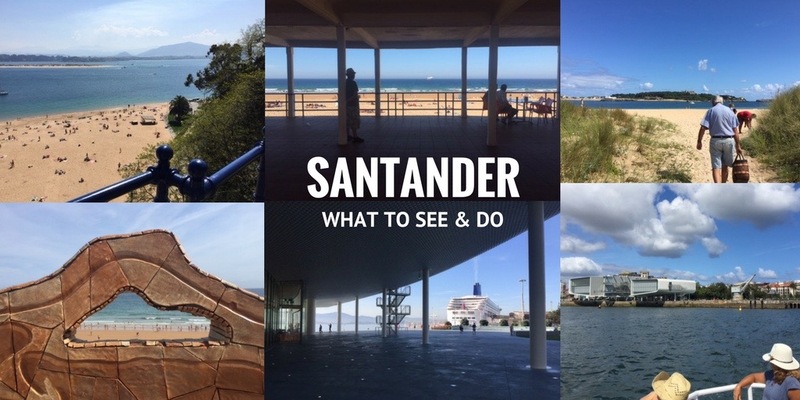 (Read about it and Santander’s other museums here.) 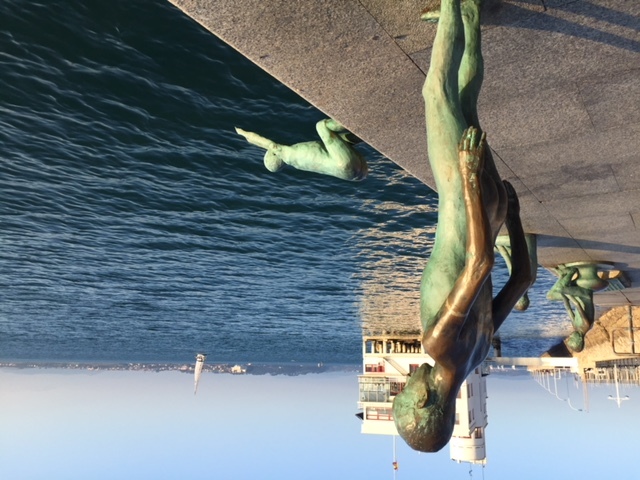 Walk on and look out for the beautifully sculpted Raqueros figures by Jose Cobo Calderon – honouring the children who once dived into the bay to collect coins tossed by tourists. Continue along the waterfront and walk out the narrow pier leading off from the Club Maritimo, to see what the fishermen are catching and – most of all – enjoy the view. and gaze at the swaying boats in Puertochico. Retrace your steps and continue on to the CEAR (Advanced Sailing Centre) and park yourself on a bench as the locals do – and become hypnotised by the comings and goings. 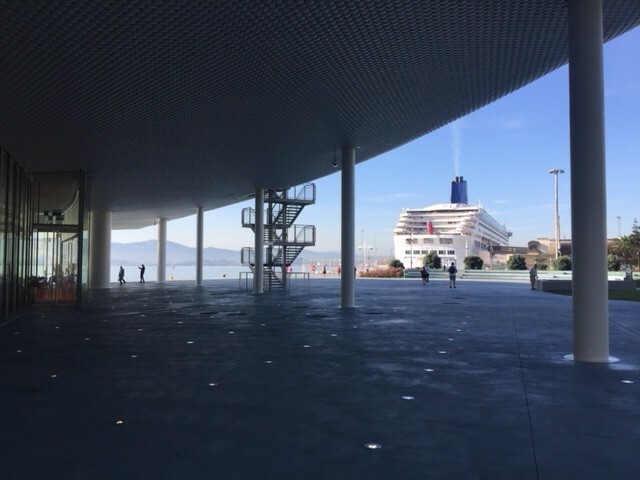 Walk by the Festival Hall heading for Gamazo – the restored dry docks. If it’s after 1pm have a drink at the ‘Caseta de Bombas’ which is a wonderfully restored old pump house for the dock. Gamazo itself has seen a lot of change and the exhibition space below the cafe shows the passing of time. Outside you have wonderful viewing points of the bay – constructed for the 2014 World Sailing Championships. From here you can decide to walk uphill to Reina Vitoria – one of the most desirable residential areas of the city. Or stay at water level and walk on the beach. Whichever you choose, you’ll have wonderful views of the beaches and El Puntal sandbank and plus mainland across the bay. Walk towards the Magdalena Palace and have a chuckle at the ‘Playa de los Bikinis’ or Bikinis Beach. The name is attributed to the international students who sun-bathed in their free-time whilst attending the UIMP Summer university programme held at the palace. If feeling energetic, go up the hill to the Palace itself. If it looks familiar you have been watching Grand Hotel – the Spanish Downton Abbey – on cable TV. Breath-taking views from here. Exit the park, saying hello to the sea-lions on your right, and hug the coastline. 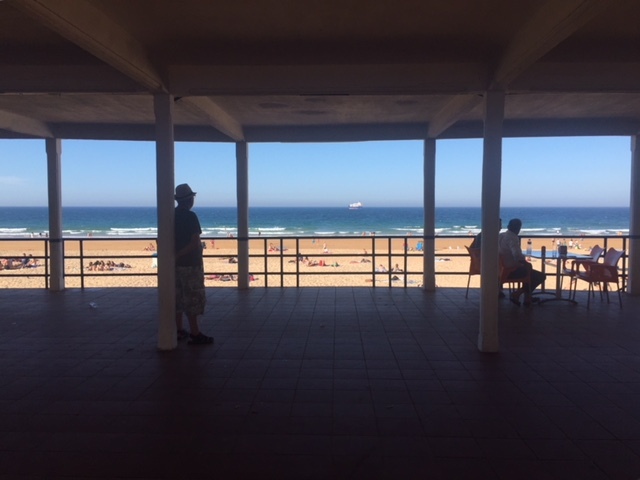 Quench your thirst at the BNS bar on Avenida de la Reina Victoria, 46, which looks out onto the beach or continue on until the first Sardinero beach – known as La Primera. When you see the Casino across the road you know you’re there. Order an ice-cream from the Regma kiosk or cross the street to the Casino – and in the basement you’ll find La Italiana for a more traditional ice-cream experience or a coffee on Plaza Italia, 1. If you’re hungry, go to El Atalaya de Mayte on Avenida de los Infantes, 95 which has a lovely outdoor terrace and indoor dining. Energy restored, continue the beach walk over to the Second Sardinero beach – La Segunda- and follow the steps up to the headland walk taking in Mataleñas Park from where you can view the lighthouse called the faro – and some of the nicest coves in the city. At the top, you’ll find El Faro Cafeteria which is handy snacks and light meals – and the perfect place to observe the sun-setting. 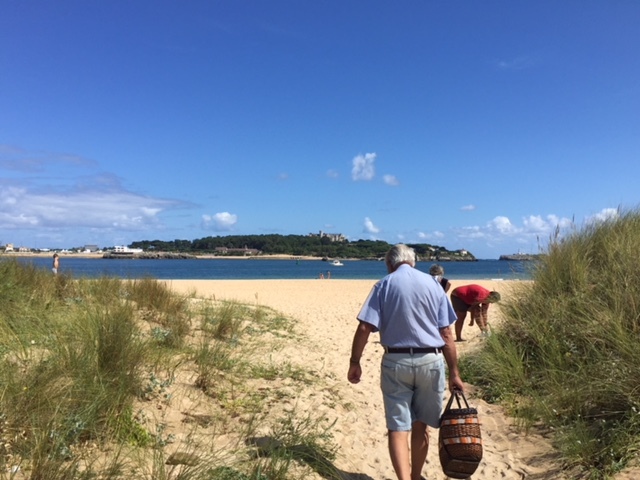 Walk downhill to the Sardinero and catch a bus into town or call a cab from the Lighthouse to take you back to Puertochico for a top-class meal. Take the funicular to the top of the city. It’s free and the views are great. Kids will love it and so will you. To find it – walk under the arches of the Banco Santander building on Paseo de Pereda. When you get to a roundabout – go uphill onto Calle Rio de la Pila and keep walking until you see the light-rail system. There isn’t much to do on the top – it’s a residential area – so when you tire of the views, come back down again the way you went up. Hire a blue bike and take on the city. From just a few euro you can have your own set of wheels. Travel on the double-decker hop-on hop-off Open-Top Bus. The 40-minute route begins in front of the Cathedral (near the new Botin Centre) and costs 15 EUR (kids are half price and under 6’s go free) for a day’s travel (10am-7pm). Especially useful if travelling with anybody who doesn’t like or can’t walk much distance. Take the full looped tour and then decide on which of the 10 stops to hop off. Headphones commentary is available in 7 languages. Take a sightseeing tour of the bay by boat. Los Reginas leaves from beside the Botin Centre and another company departs from Gamazo – near the Palacio de Festivales. Go underground to the Air Raid Shelter and the Ancient City Walls both of which are located close by the Plaza Velarde also called Plaza Porticada. Tickets for both tours must be pre-booked at the Tourist Office in Pereda Gardens. Hop on a shuttle-boat across the bay to the mainland coastal town of Somo which is a favourite with surfers. From here you look back on the city and the lighthouse on the tiny island of Mauro. 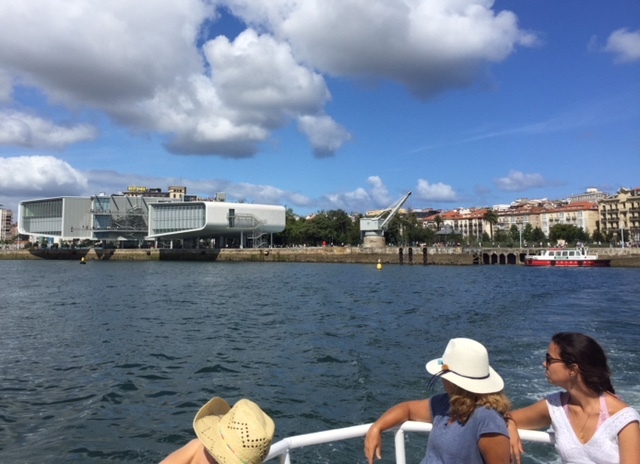 Los Reginas Ferry Company offers a frequent shuttle service from the Palacete del Embarcadero (near the Botin Centre) to Pedreña and Somo across the bay from 10.30am to 8pm. The lancha or ferry leaves from Los Reginas on the Paseo Maritimo opposite Paseo de Pereda. In the Summer months, you can take a boat to the Sandbank in between Santander and mainland Spain – which is called El Puntal. It’s perfect if you find the city beaches crowded. 3 PREFER TO STICK TO THE BEACHES? Want to check out the waves or try Stand Up Paddle (SUP)? If you want waves to leap over, go to La Concha or either of the Sardineros. You can hire a wetsuit and all the SUP or surfing gear in Santander at the many surf schools in the Sardinero area and there are dozens more across the bay in the well-known surf villages of Somo and Loredo. If you’re with the family and can’t decide between the beach or the playground? Do both within the Magdalena Palace Park, where you’ll find a large playground for under 12s plus a huge slide down onto the sandy Los Bikinis beach. In fact, you’ll find playgrounds on many of the city beaches. On the beach but feel you’re surrounded by a different demographic? 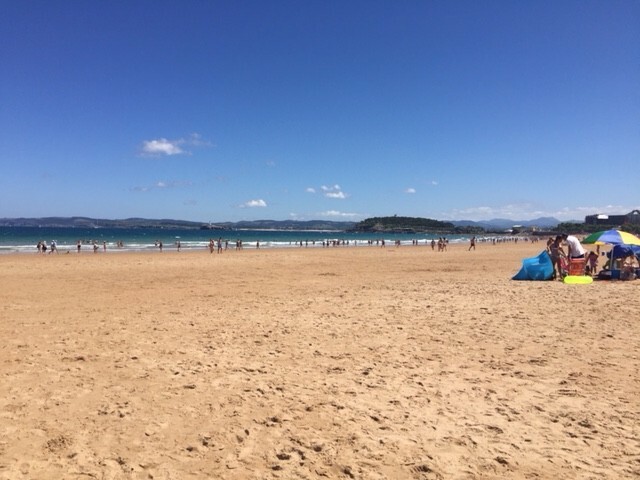 The two Sardinero beaches are usually popular with families and teenagers. Los Peligros is popular with sunbathers on their own and those who like to swim in tranquil waters. Matalenas is probably best described as a more alternative hipper beach. and El Puntal is a mix of couples wanting to get away from the crowds and people with their own boats who moor in for some calamari and vermouth. Rest assured that whichever beach you choose, you’ll enjoy the white sand, clean water and amazing views. 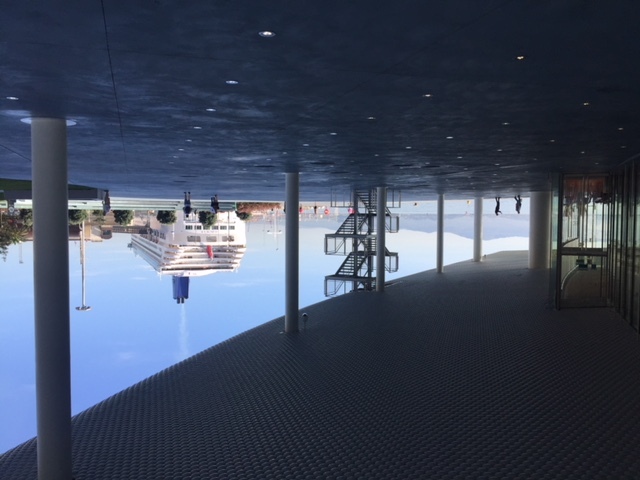 Right beside Los Peligros beach you’ll find the Museo Maritimo – which is especially useful if it’s chilly outside (or too hot!) and you have small children to entertain. They’ll love feeding time when the keeper gets into the large fishtank in a wetsuit and oxygen tank to feed the fish. We also like popping into the exhibition space at Palacete del Embarcadero (near the Botin Centre). If you are up by the lighthouse, it’s worth darting into the art gallery there also. Underneath the Mercado del Este, you have the Pre-History Museum (MUPAC). 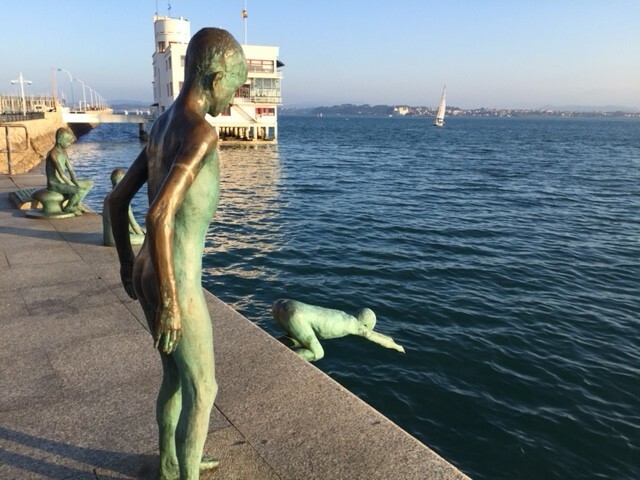 We’ve written in detail about the great museums here and nearby Santander. If you are up early, you’ll want a mid-morning snack and Spain’s tortilla always fits the bill. Locals favour El Diluvio off Plaza Pombo on Calle Ataulfo Argento 14, and Casa Lita on Paseo de Pereda from midday onwards – but you can pick up a decent slice with coffee in pretty much every bar. If you favour something else, try a ‘sobao’ (a Cantabrian breakfast sponge) which is simple but packs a punch. From 1pm onwards, you’ll witness (and should take part in) the middle of the day aperitivo tradition – that consists of sharing platters of food – usually calamari (locally they are called rabas), and prawns while drinking a vermouth, shandy or white wine. Most bars will prepare rabas but you are best choosing a place where you see others tucking in – such as Bar del Puerto on Hernan Cortes, 63 – where you can see right into the kitchen and watch the chefs prepare the seafood. It’s not the cheapest place but you’ll find it great for people-watching as three generations of the great and good of Santander come here to munch on platters of the smile-inducing name of ‘prawns in trench coats’ (gambas a la gabardina) while sipping a martini. For a more modest and traditional atmosphere, try the Bodegas Mazon on Hernan Corte or La Pirula on Peña Herbosa 31. If you really want some more excellent seafood over your aperitif, head for La Mulata just behind the food market on Tetuan. This neighbourhood will have you dazzled by its clams, razorfish, mussels, squid and more. In the mid-afternoon, it’s time to check out the great cafeterias especially those with outdoor seating – where you can observe the Santanderinos again lingering for hours over a coffee in a square. There are many pleasant terrazas or outside seated-areas around Puertochico that are worth trying out. The Plaza de Pombo is one of the city’s favourite squares and for that reason, we enjoy sitting outside rather austere Cafeteria Pombo with a cortado. The cafes along Castelar are also good for people-watching and enjoy the bay too. Again, El Muelle at the Botin Centre produces excellent coffee and the best cappuccinos in the city. Mid-afternoon is also a great time to eat ice-cream! Cantabria has a wonderful tradition in ice-cream making and the city of Santander has some top-class ice-cream parlours and kiosks. We recommend Monerris in the lovely Plaza del Cuadro just off Hernan Cortes (open in the summer months only) but the standard is excellent everywhere in the city. And the Argentinian-Italian ice-cream parlour Via Mazzini on Pena Herbosa, 31 is absolutely astonishing. If you are looking for something more comforting, try chocolate & churros. The nicest churros are nearly always from the mobile units in the squares but they usually don’t serve hot chocolate. There is usually a churro van near the Plaza Velarde also known as Plaza Porticada in the Summer. If you want to sit down we recommend the 100% authentic Churreria La Aliva on Calle Daoiz y Velarde 7 – unavoidably it does smell of fried oil but the churros are very good as are their homemade bizcochos – sponge-cakes. From 7:30pm onwards, and the tapas bars are starting up set up. Tapas are those mini-portions of gourmet heaven that are usually served from 8-11pm; often eaten while standing by the bar or perched on a high stool. For an interesting wine selection, try El Cigaleña on Calle Daoiz y Velarde 19 and the tiny Catavinos on Calle de Marcelino Sanz de Sautuola, 4 (the street under the arches of the main Banco Santander building). You’ll enjoy the barfood at the downstairs section of Asubio on Calle Daoiz y Velarde. We also like the very simply decorated and extremely authentic and tiny Bodega Fuente De on Calle Peña Herbosa, 5, where – for just a few euro – you can order delicious ‘pimientos de padron’ (small and occasionally spicy green peppers) with chips. The ‘queso picon’ – a creamy blue cheese from the Picos de Europa – is also delicious. For old-world character and artwork on the wine barrels, try the entrance bar at El Riojano on Calle Rio de la Pila, 5 which serves excellent ‘cecina’ drizzled in olive oil which is a cured-beef dish that’s perfect for sharing. Looking for a sit-down meal? For early evening food al fresco (8pm+), the traditional Meson Rampalay beside the Santa Lucia church on Calle Daoiz y Velarde is perfect. The ‘raciones’ (meaning large tapas or shared platters) are great for sharing and trying different dishes. If you want an informal atmosphere but a well-thought out sit-down meal (open at traditional times) try chef Emilio’s handiwork at La Malinche on Hernan Cortes. Again, you’ll find many dishes suitable for sharing. Asubio (the restaurant is upstairs) on Daoiz y Velarde is also great for an evening meal. For comfort, atmosphere and great cooking, you could also dine at Cañadio Restaurant in Plaza de Cañadio which is very popular with locals. Here you could share a starter or two and order your own main course. For a very traditional restaurant with a sense of formality, you can go to El Riojano restaurant on Rio de la Pila 5 or else La Bombi on Calle Casimiro Sainz, 15. Further up the scale you have the Michelin-starred El Serbal on Calle de Andres del Rio, 7. Read more about Cantabria’s Michelin-star restaurants here. If you have any special dietary requirements – we highly recommend Dias de Sur on Hernan Cortes. It’s been road-tested by both vegetarians and celiacs on many occasions with flying colours plus it’s also one of the few places that serves food all day long. Put the little ones on a traditional carousel. Los Caballitos which translates as Little Horses, are in almost every square of the city. You’ll find an old-fashioned carousel in Pereda Gardens (near the Botin Centre) and two carousels in Plaza del Pombo. In Plaza Pombo you’ll also find the Gil bookstore where you can pick up wonderful children’s books and crayons, pencils and more– if you forgot to bring some with you. Kids of all ages will enjoy Parque de las Llamas, a newly landscaped parkland, by the university campus, with plenty of playgrounds and areas to kick a football. It also has a marshlands area where you can feed the ducks and see kids play with their motorised boats. In the park you’ll come across lots of kids on bikes, scooters, hover boards and skates. You’ll find a handy café in the park that also has an indoor play centre called DivertiPark that’s popular for birthday parties but is also open to the public. You can get to the park by bike, on the city buses and it’s a stop on the open-top bus circuit. Once a month, you’ll find the wonderful Escenario Santander flea market with food trucks. Check out when it’s on next here on its Facebook page. For the more adventurous of children and adults that aren’t scared of heights – try Forestal Park near the lighthouse. Some of harder circuits are only for children with a height over 1.45m and aged 13 or over but the family circuit is suitable for kids over 1.1m and aged 9 or over. It’s worth noting that in the Summer, it’s not unusual for children to be taken out for an evening meal with their parents. Indeed if the weather is warm, you will often see kids playing late into the evening in the city squares as their parents look on enjoying a beer or wine. So if you can’t find a sitter in the city, down worry, you won’t be the only one out with the kids. No guide to Santander is complete without a reference to golfer Seve Ballesteros who lived across the bay in Pedreña. If you want to try re-capture a little bit of golfing magic in the area, you have the Matalenas Golf course in the city (by the lighthouse) plus the Royal Pedreña Course and La Junquera Course, just across the bay, which are easily accessible by the ‘lancha‘ light passenger boat. We are also fond of Sota Golf Club in Agüero run by golfer Gabriel Sota. Gabriel’s father was Ramon Soto, four-time Spain golf champion and uncle to Seve Ballesteros. Agüero’s 9-hole golf club was devised by Ramon and designed by Seve and you can experience the course (and hear all the stories) when you visit. We can arrange a driver to transfer you from your hotel in Santander to the course of your choice – and drop you off at one of the many Michelin-star restaurants afterwards to really make a day of it! Fancy some retail therapy? There are dozens of shoe shops in the city centre such as Lucio Herrezuelo – a local family run business making high-end bags and footwear since 1962. It has a number of stores – the largest is on Calle Calvo Sotelo, 23. The city has many mid-range options including the new Camper shop on Calle Juan de Herrera, 8, and Looky on Calle Lealtad 6. If you are in the market for local paintings or sculpture, go to Galeria Siboney on Santa Lucia 49 – a contemporary space for local and national artists – and Jose de la Fuente Gallery on Daoiz y Velarde 26 plus Galeria Juan Silio on Calle Sol 45 and (outside Puertochico) you have the Espacio Alexandra on Calle Francisco Cubría 3 & 4. 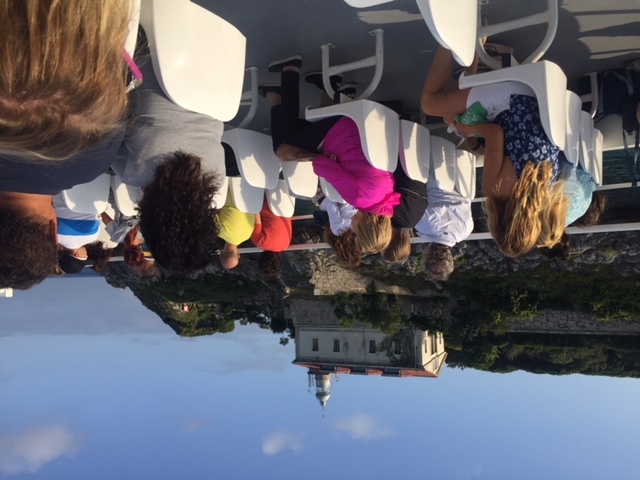 Please check websites for opening times – bear in mind that galleries usually open in the evenings from 6pm-9pm in Santander but you can easily arrange a morning viewing by appointment. Looking to purchase contemporary designer jewellery and premier international brands. You’ll enjoy the new and modern Bannatyne Jewellers showroom right in front of the Botin Centre on Paseo de Pereda 7. For clothing – you’ll find lots of independent shops and the well-known Spanish chains in the area of Puertochico – on Calle Hernan Cortes, Paseo de Pereda and the perpendicular Calle Lealtad. For example. you’ll find high-street brands such as Zara on Calle Lealtad, 17, a large Adolfo Dominguez (mid-priced women’s and men’s clothing) on Calle Juan de Herrera, 15. For something a little more upmarket you can shop at Santander’s best known womenswear designer Angel Schlesser – the store is on Paseo de Pereda, 8, in front of the Botin Centre. High-end international brands can be picked up at Percha Espacio Bahia on Paseo de Pereda, 13. Don’t forget to shop for local delicacies to take home or give as gifts. Local specialities include the buttery breakfast sponges called ‘sobaos’, the tart dessert called ‘quesada’, the regionally-distilled liquor orujo, and the creamy blue cheese traditionally wrapped in sycamore maple leaves called queso picon from Bejes-Treviso. Of course you can also pick up all the other Spanish treats such as jamon, queso manchego, chorizo, saffron and wines! We love the old-school delicatessen Mantequerias Frankfort on Calle Rualasal, 5, that sells wonderful wines and plenty of local foodie treats. Mantequerias Cantabras is also good – you’ll find it inside the Mercado del Este (off Hernan Cortes, 4) and also by the Sardinero on Calle Joaquin Costa, 47. Delicatessen Diferente is also great for foodies- it’s on Calle Joaquin Costa, 28 (in the basement of Hotel Santemar) by the Sardinero. You can also get some great buys on the second storey of the Mercado de Esperanza food market. Afterwards, drop into the charming off-license called Tercer Tiempo behind the Mercado de la Esperanza on Plaza de la Esperanza 6 to purchase local and international craft beers. Want to pick up some books, guide-books or stationery? We recommend Libereria Gil bookstore under the arches of Plaza de Pombo. If you fancy a pampering check out the sea-water treatments at the Hotel Real’s Thalasso Spa on Avenida Perez Galdos, 28, which offers packages from 49 EUR. We recommend you have a cocktail on the terrace bar after your treatments and enjoy the wonderful surrounding of this elegant hotel and its views of the beaches and bay. The Hotel Real featured in our guide to the best hotels in Spain with views. If you want some treatments in the city centre, we also recommend Estetica Kana on Calle Juan de la Cosa, 11 (behind Calle Castelar) for massages, manicures and other treatments. You’ll need to pre-book sessions for both locations. 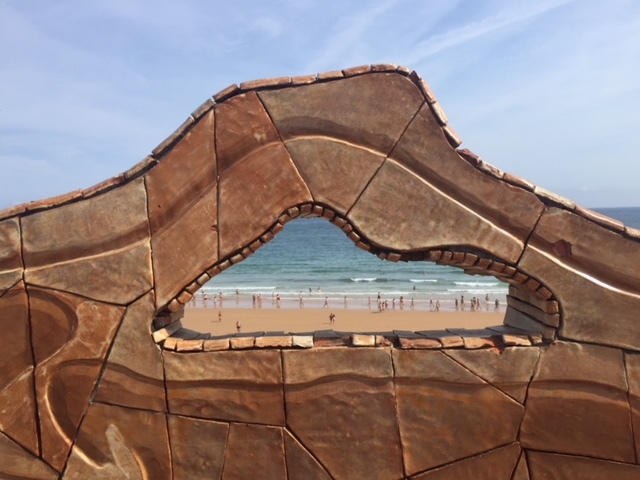 If you like the look of Santander, you should know that the rest of the region of Cantabria is pretty spectacular as well – see what we’ve written about Why to Come to Cantabria in 2018 here and check out our post on 21 Images that Define Cantabria also. Our top tips for day trips would include Cabarceno Park, the Capricho de Gaudi in Comillas, Altamira Cave, Santillana del Mar, Castillo Cave in Puente Viesgo, and an overnight trip to Liebana to explore the Picos de Europa. You’ll find lots on these and lots more destinations in Cantabria here. The network of buses in the city is excellent – it runs late into the night and is very safe. You can download the routes here. The standard fare is 1.30 EUR – but you can buy a top-up card at newspaper stands (minimum top-up is 6 EUR) which brings the price of each journey down to 0.66 EUR and you can hop on and off buses for an hour with having to pay again. NB Children under the age of 4 travel free. Taxis are also a great option and are inexpensive, clean and safe. Dial Radio Taxi Santander on +34 942 333 333 and when the call is answered (if you don’t speak Spanish) just say where you want to be collected from – there’s no need to say where you are going – unless it’s well outside the city boundaries. 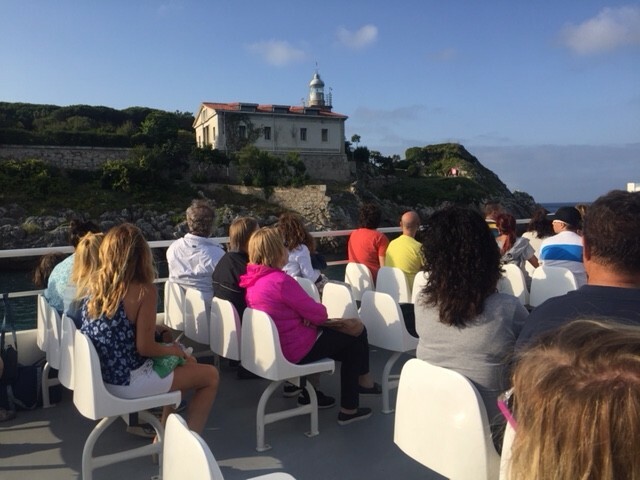 You can also take a boat from Santander to the other side of the bay (and as we outlined earlier – around the bay and up into Rio Cubas). There are two train stations adjacent to each other – FEVE for regional trains around Cantabria and the North of Spain. And RENFE for the national Alvia/Renfe trains to Madrid (which take about four hours to the Spanish capital). The bus station is also beside the two train stations and you can connect with most cities in Spain with ALSA. Flying in or out of the city? Iberia, Vueling, Volotea and Ryanair are just some of the airlines that fly into Santander’s Seve Ballesteros Airport. And Brittany Ferries travels from Portsmouth and Plymouth in the UK direct into the port of Santander and from Cork in Ireland direct also. 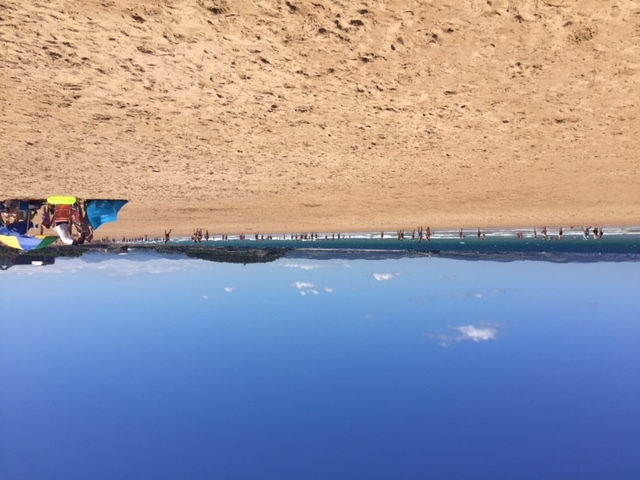 Peak season in Santander is Easter Week and the months of July and August and accommodation can be pricey and restaurant staff are rushed off their feet during these periods. If you can avoid these 9 weeks of the year, you’ll find excellent value for money and great service available to you. We recommend travelling in May & June or September & early October to enjoy the warmer temperatures and reduced rainfall. The big decision to make when looking at accommodation is whether you want to be in the city centre or in the Sardinero area. We usually recommend the city centre which is better for dining out at night and shopping the next day also. There are dozens of four-star hotels to choose from in town such as Hotel Bahia right beside the Botin Centre and Vincci Puertochico on Calle Castelar and by the beach we like the re-modelled Gran Hotel del Sardinero. That said, we work with dozens of other options including a number of family-run hotels and excellent self-catering options across the bay. 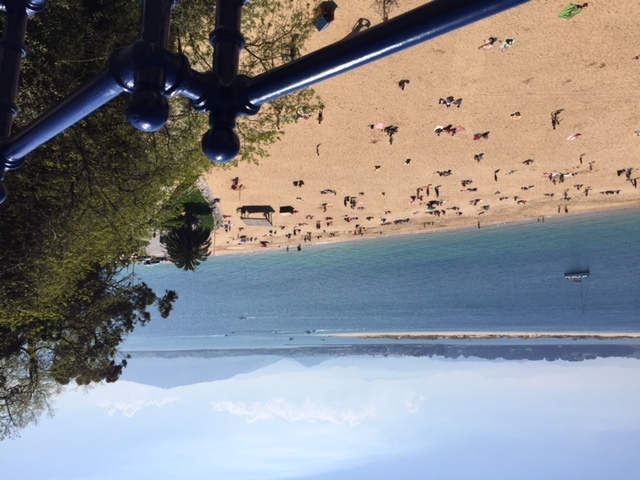 If you are looking for five-stars in Santander, you have just one choice – the Eurostars Hotel Real overlooking the Peligros & Magdalena beaches. The views are astonishing and if you like to splurge, the vistas from the suites are stunning. 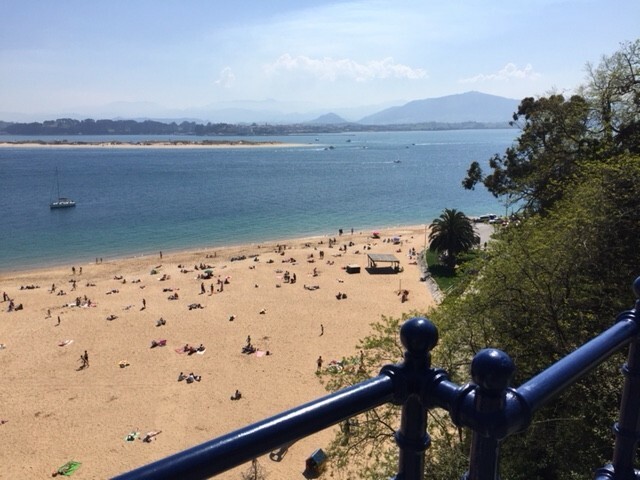 Posted in Active breaks, Cantabria, Green Spain, Santander and tagged aperitivo, Bikinis Beach, Brittany Ferries, Castelar, cathedral, CEAR, Centro Botín, churros, Club Maritimo, funicular, Gamazo, hotels, ice cream, Los Reginas, Magdalena Palace, Mataleñas, Mercado de la Esperanza, Mercado del Este, Museo Maritimo, Palacete del Embarcadero, Parque de las Llamas, Paseo de Pereda, Peligros Beach, Pereda Gardens, Piquio Gardens, playgrounds, Plaza Cañadio, Plaza de Pombo, Pre-History Museum (MUPAC), Puertochico, rabas, Raqueros, Renzo Piano, Sardinero beach, Seve Ballesteros, Stand Up Paddle (SUP), Surfing, tapas.